Woolworths has launched a community learning farm in Stellenbosch, Western Cape. 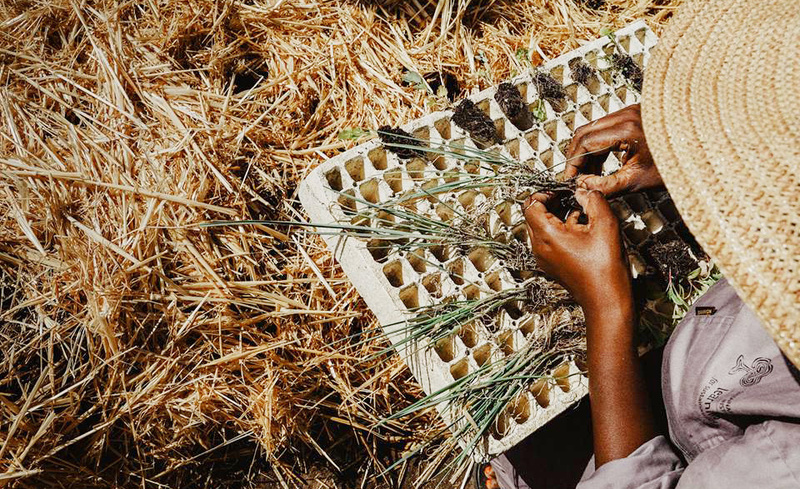 The popular retailer has partnered with Spier Wine Farm, the Sustainability Institute and the AgroEcology Academy to set up the Living Soils Community Learning Farm. This project is on a three-year trial that aims to demonstrate the feasibility of ecologically-restorative methods of farming. In the process, the Living Soils Community Learning Farm will produce nutrient-rich foods for the local community and improve food security in the area. The farm will also train and develop young local farmers and improve the youth unemployment rate in Stellenbosch. Woolworths will provide R4.4 million worth of funding to ensure the initial success of the project. “We’re very excited to play a key role in this partnership,” says director of corporate affairs at Woolworths, Zinzi Mgolodela. All the partnering organisations in the Living Soils Community Learning Farm share the same vision of it becoming a successful example of a community-based food security and sustainable development project. The success of the project will determine its feasibility to be replicated across South Africa. “The project is aligned to our successful Farming for the Future initiative, therefore, an extension of partnerships with our suppliers, and apart from the funding we will be providing, the project will benefit from access to sustainable farming expertise in our supply chain,” explains Mgolodela. The Sustainability Institute and its sub-entity, the AgroEcology Academy, will provide a dedicated project manager who will drive the project. Spier Wine Farm has contributed three hectares of land for the farm, as well as supplying the necessary farming equipment. “Through our Growing for Good initiatives, Spier supports communities through learning. By contributing land and resources, we look forward to exploring the development of a long term impact model,” says Spier Wine Farm human resources and sustainability director Heidi Newton-King. The major goal of the learning farm will be the production of nutritious organic foods that will feed at-risk households in Stellenbosch. The farm will also empower the local community through training and learning opportunities for unemployed citizens. It will provide a platform for young and emerging farmers to improve their skills and provide food for their families. “Research will form an important part of this programme, so we can document and share best practice in ecologically-restorative approaches to nutritious food production and understand how social justice and innovation can be driven through sustainable food systems and models,” explains the director of the Sustainability Institute, Jess Schulschenk. “We look forward to the learning, advocacy and thought leadership that will emerge from this very rooted and necessary work to realise food security, youth skills development and land reform in practice,” she concludes. Averda is a leading waste management provider with over 50 years of experience across three continents. Through growth, transformation and engagement, we strive to find new ways of managing waste while protecting the community and environment. By pairing international expertise with local insights, we have secured our position as one of South Africa’s most respected providers of waste management and industrial cleaning services. We also operate in the recycling, pipe inspection, CCTV, infrastructure inspection, hydro-demolition, high-pressure water jetting and catalyst handling industries. Follow us on Facebook, Twitter and LinkedIn for the best tips on recycling and the latest industry news. See our Instagram and YouTube channels for more insights into environmental affairs and our work with local communities. Get in touch for further information or a consultation. ©Averda 2017. All rights reserved.